Posted on 4, December 2017 by EuropaWire PR Editors | This entry was posted in Construction, Education, Management, Sweden and tagged Duke University, Hollows West Campus Residence Hall, Skanska. Bookmark the permalink. STOCKHOLM, 04-Dec-2017 — /EuropaWire/ — Skanska has signed a contract with Duke University to build the Hollows West Campus Residence Hall in Durham, North Carolina, USA. The final phase of the contract is worth USD 61M, about SEK 520M, which will be included in the US order bookings for the fourth quarter 2017. The new residence hall will consist of two six-story buildings that will house about 500 students and resident assistants in suite-style dormitories. The 24,500 square meter residence hall will also include a series of common lounges with full kitchens and dedicated study rooms. 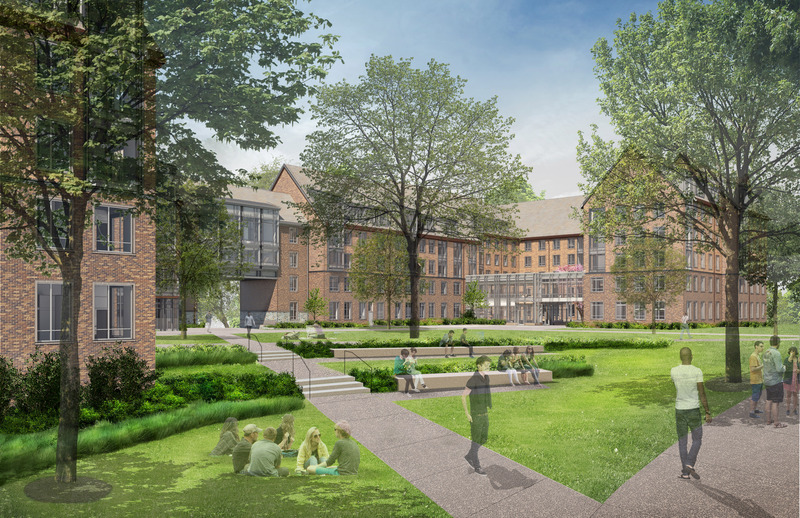 The residence hall project will be seeking LEED Silver certification. Construction is ongoing, and the project is expected to be complete in July 2019.